Strawberries in yee sang. Seafood soup redolent with oceanic flavours. Fish swimming with nostalgic inspired accents. 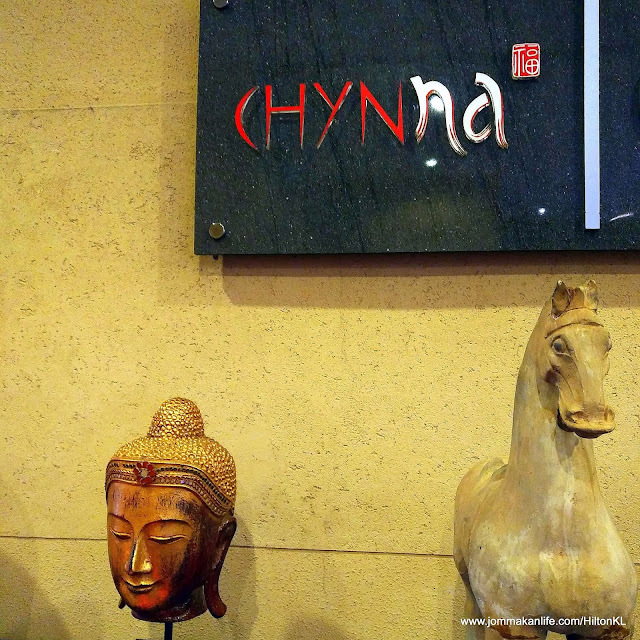 Brace yourselves for a Year of Blooming Abundance at Hilton Kuala Lumpur's Chynna Restaurant this Chinese New Year. From the precision of the resident tea-pouring expert to the last morsel of sticky nian goa, our dinner preview was anything but ho-hum. 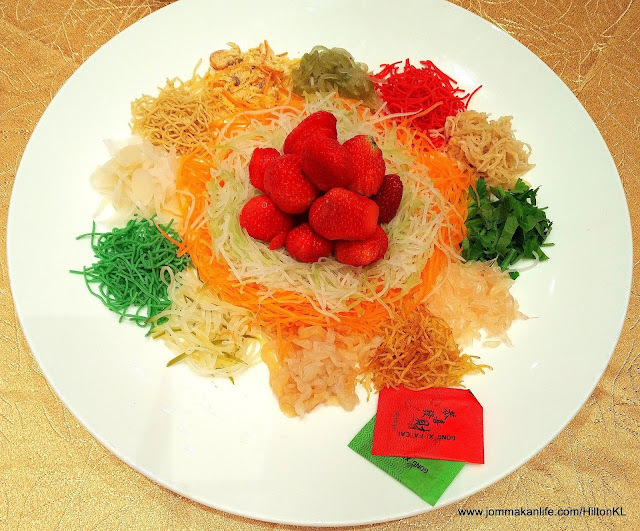 A harbinger of the auspicious celebration ahead, the preview session started with the curtain-raising Yu Sheng Selection (RM128 for half portion, RM280 for whole portion). A pile of huge American strawberries, bursting with bracing tanginess mingled well with the colourful platter of julienne radish, carrot, pickles, crushed macadamia, fresh coriander and dried kumquat. We were relieved to find the house dressing was light, fruity and didn’t turn the salad into a soggy mess after our vigorous bout of tossing. 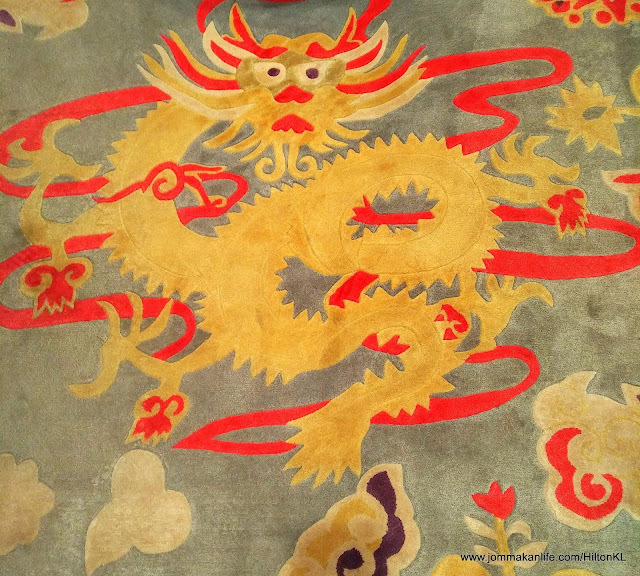 In conjunction with the Chinese New Year celebration, Chef Lam Hock Hin has conjured up a repertoire of special dishes for the occasion. While the Grand Fortune Set would require a minimum of 5 persons per table at RM688 per head, other festive sets: Abundance (RM288 per person), Prosperity (RM398) and Wealth (RM438) are good for two or more. All the festive menus will be available from 7 January to 24 February. 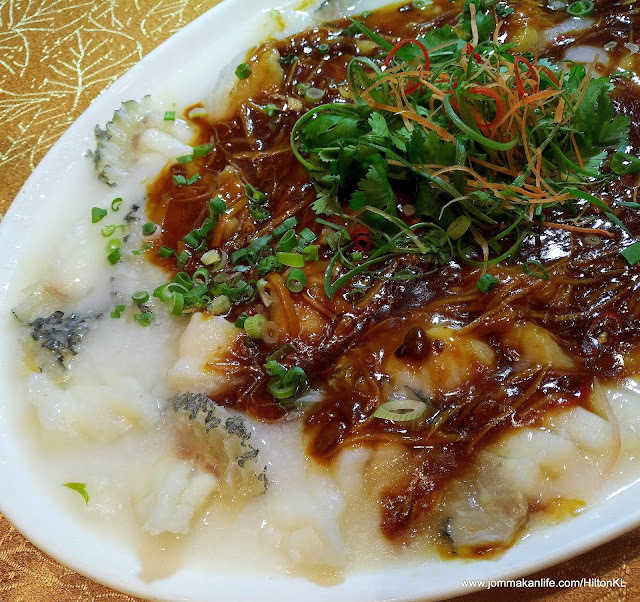 The night’s show-stopper was the Braised Assorted Dried Seafood with Vegetarian Fins, Crabmeat & Fish Maw; its complex layers of savoury, deep-sea flavours in my experience was the only soup to have come closest to mimicking the real deal. I daresay I lapped up every last drop of that subtly fishy, unctuously thick milieu of crabmeat, seamoss, slivers of fish maw, translucent noodles...it was par excellence. 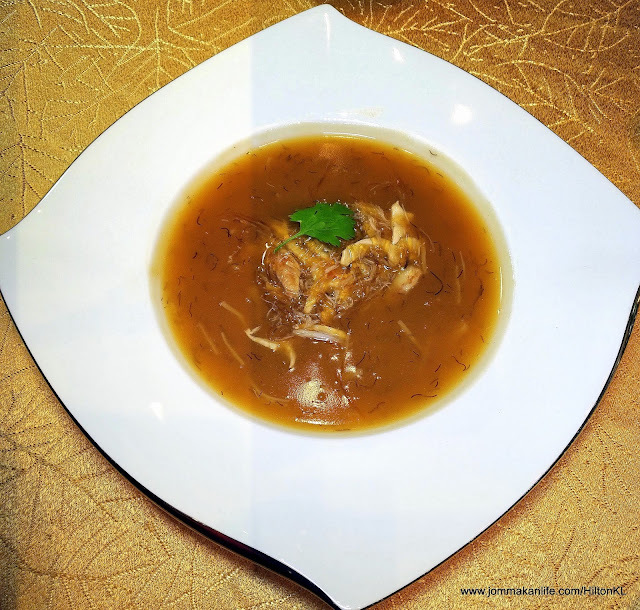 Pumpkin sauce was Chef Lam’s way of bestowing a healthy slant to his creation of Braised Abalone Cubes with Sea Cucumber, Pumpkin Sauce & Crispy Smoked Meat. “I got the brainwave after eating a pumpkin dish prepared by my girlfriend” said the chef in jest when he was asked on the inspiration behind the dish. Lots of painstaking work has gone into the chef’s speciality of Steamed Wild Caught Giant Grouper Slices with Congee, Fried Ginger & Touchu Chilli Sauce. According to Lam, the rice has to be soaked overnight and underwent several water changes before it was boiled down into that milky white, smooth congee base. The final dish was a gastronomic treat for fish lovers who are partial to supple, smooth and delicate texture. Again drawing inspiration from traditional comfort food, Lam amped up the fish slices and congee pairing with fried ginger strips for some warm, spicy kick, and briny taucheo (preserved soya beans) with chilli to jolt the tastebuds awake. Mindful of our multi-racial society, Lam decided a dish with Indian and Malay influences has a place on the Chinese New Year table too. It was on-point too as the spice quotient of the Batter Fried Crispy Chicken with Yellow Curry Sauce proved a hit especially among the young ones. We enjoyed the curry leaf-scented okra pieces atop the fried chicken. 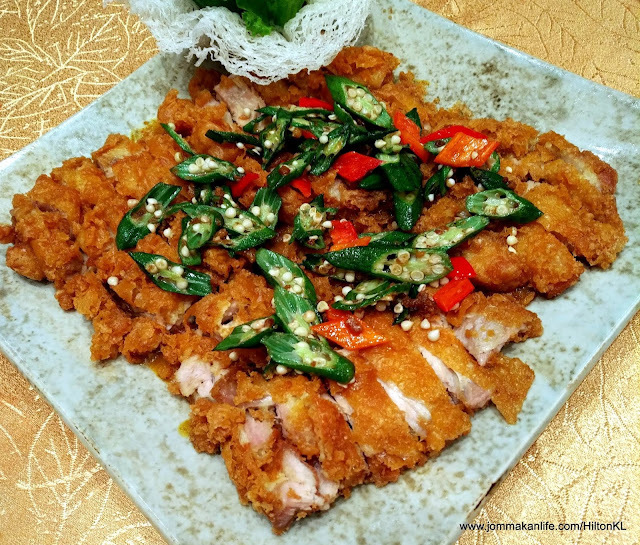 Marinated with dried shrimp paste, the crispy and moist chicken pieces were delectable to boot. Another wave of nostalgia hit us when we sampled the Stewed Cabbage with Yam and Shrimps in Claypot. It wasn’t anything to look at but the taste was homey and delicious; good comfort food that you’d want to keep eating. One dish to ensure you leave Chynna replete is the Ten Grain Rice Stuffed with Chicken Floss. My only pet peeve with this offering is the clumps of rice was a tad sweet for my liking. IMHO, the rice should not have been steamed with sugar since each clump of the multi-grained rice already came with chicken floss on top — in this case, less is more! 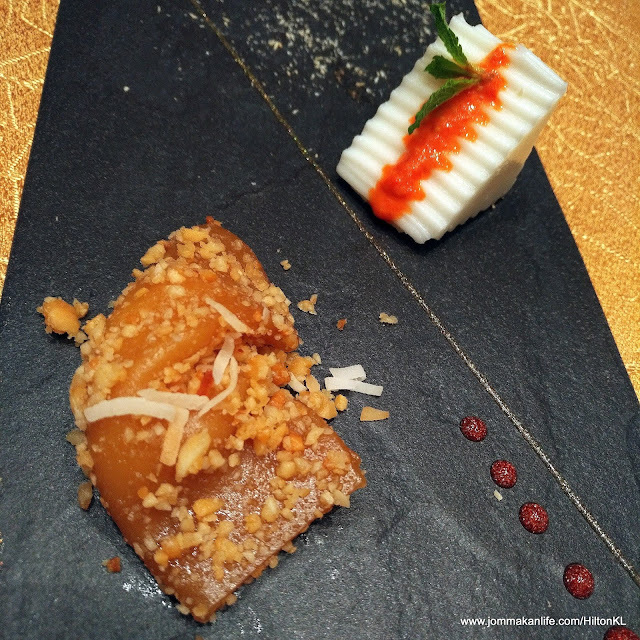 Dessert featured a duet Combination of Snow White Coconut Jelly and Nian Gao Roll with Cheddar Cheese, Macadamia Nut and Musang King Durian. The former passed muster but paled into the shadows next to the festive new year cake. With a powerful King of Fruit filling, we couldn’t detect any trace of the cheese nuance in the Nian Gao roll. Overall, the sweet treat was acceptable but the cheese simply failed to make its presence felt. Otherwise it was a lovely and sweet way to conclude a celebratory CNY dinner. Patrick Siau (2nd from right), Head Chef and Teaching Fellow, and Coach for the Malaysia National Pastry team will be leading the Malaysia National Pastry Team comprising Chefs Tan Wei Loon, Otto Tay and Loi Ming Ai at the famous Coupe du Monde de la Pâtisserie - World Pastry Cup in Lyon, France. the 2018 Asian Pastry Cup (APC) in Singapore and won the ‘Best Display’ award, proving they are a creative force to be reckoned with. Prior to his appointment by the Professional Culinaire Association, Malaysia as Team Coach for the Asian Pastry Cup 2018, Chef Patrick had previously participated in the 2010 edition and the World Pastry Cup in 2011 as the Malaysia National Pastry Team Captain. 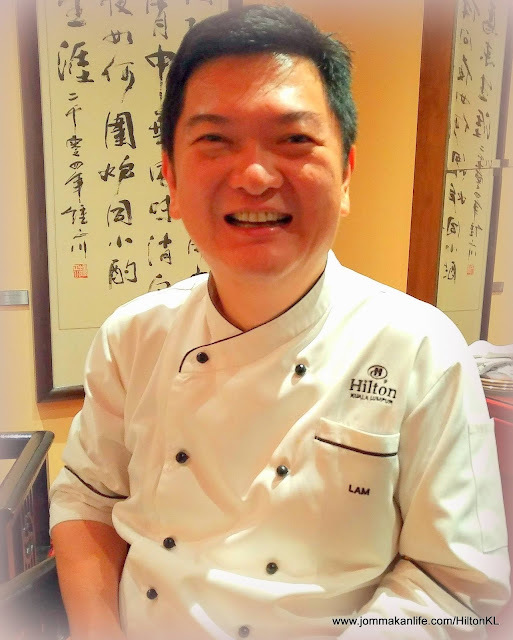 Chef Tan Wei Loon admitted preparing for the competition is a challenge as the team comprises individuals working in different areas. They have to allocate time for practice and discussions. Both Chefs Otto Tay and Loi Ming Ai also have their own challenges to overcome but Chef Patrick remains confident they stand a chance at nabbing a top three spot in the competition. 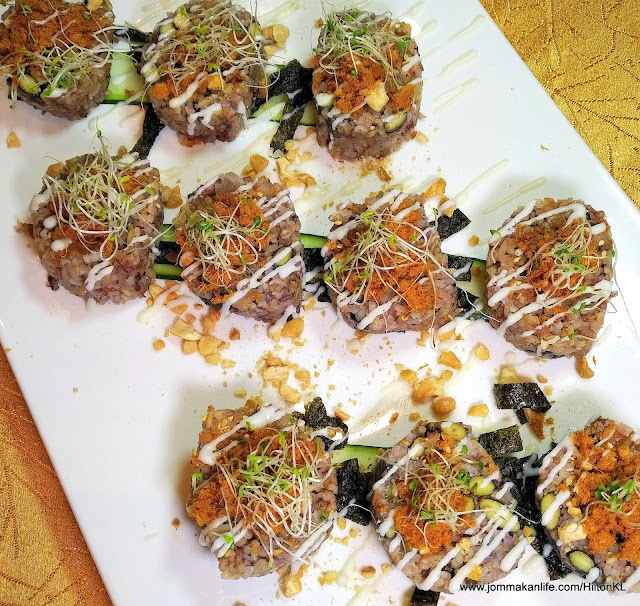 Chef Patrick then worked with Sunway University Chefs Soon Pau Voon, Lee Han Ying, Chong Wei Tzeh, Yee Suet Rene and Nur Amirah to create a special four-course dinner for the evening. The menu featured Yu Sheng with Smoked Duck, Double-Boiled Chicken Soup with Longan, Salmon with Butternut Squash and Baby Nai Pak. Guests were later treated to chocolate dessert prepared by Chef Patrick and the Malaysia National Pastry Team. DHL Express Malaysia will be the one of the key sponsor of the National Pastry Team’s participation in the competition, covering the cost of transporting the team’s equipment to France. “We are excited to be the Official Logistics Provider for the National Pastry Team representing Malaysia at the Coup du Monde de la Pâtisserie. DHL Express will ensure the equipment gets delivered in good condition and on time to the world capital of gastronomy, giving our Chefs peace of mind to fully concentrate on the competition. We wish the Malaysian team all the best!” said Ms Ooi Chooi Lee, Head of Commercial, DHL Express Malaysia. Ms Ooi was among the invited guests who attended the dinner at Sunway University in addition to luminaries such as Dr Elizabeth Lee, Senior Executive Director, Sunway Education Group and Sunway University; Professor Graeme Wilkinson, Vice-Chancellor, Sunway University; Gille Barrier, First Secretary and Deputy Head of Mission, Charge d’Affaires, Embassy of France in Malaysia; Datuk Fazley Yaakob, singer and celebrity chef; and Datuk Redzuawan Ismail, better known as Chef Wan.